The week was not only emotionally moving, but also full of fun. The Arapahoe student body was all-in to decorate, play and go outside of themselves to help. 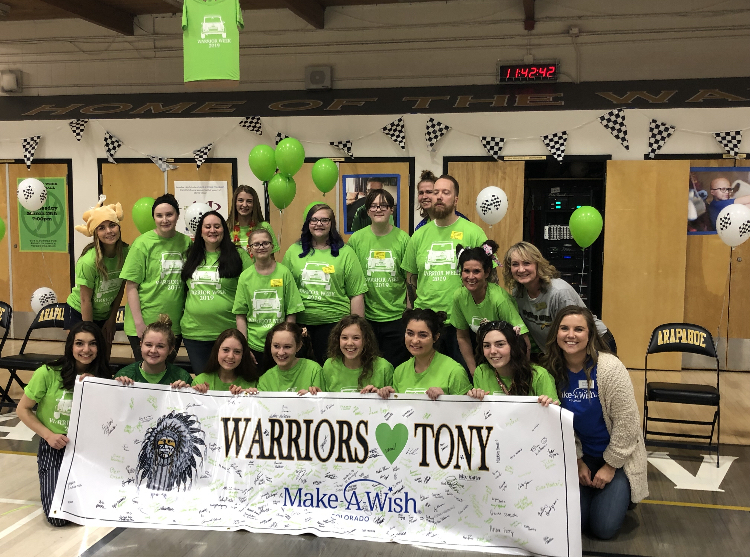 There were MarioKart races at lunches, pies-in-the-face and shaved heads at the staff/student basketball game, a wonderful silent auction at the carnival and the school’s first ever Wish Kid Assembly complete with glow sticks and scooter races.